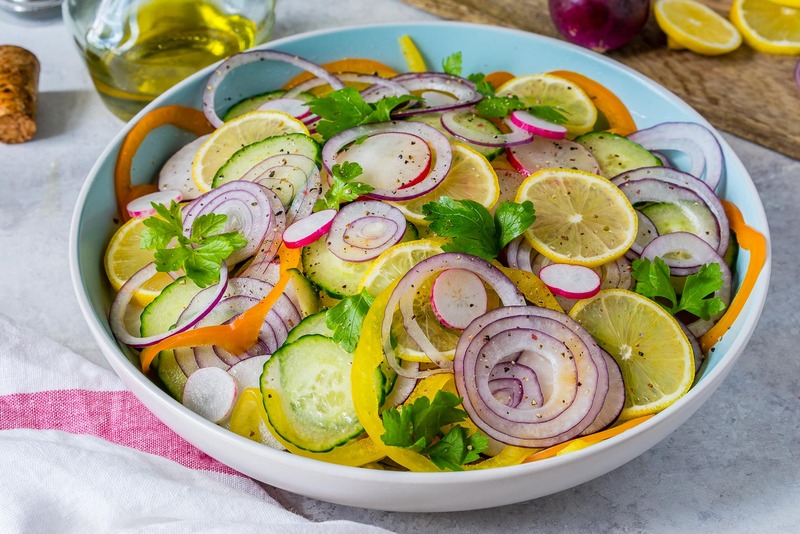 Eating this Sliced Summer Detox Salad is Great for Your Skin! 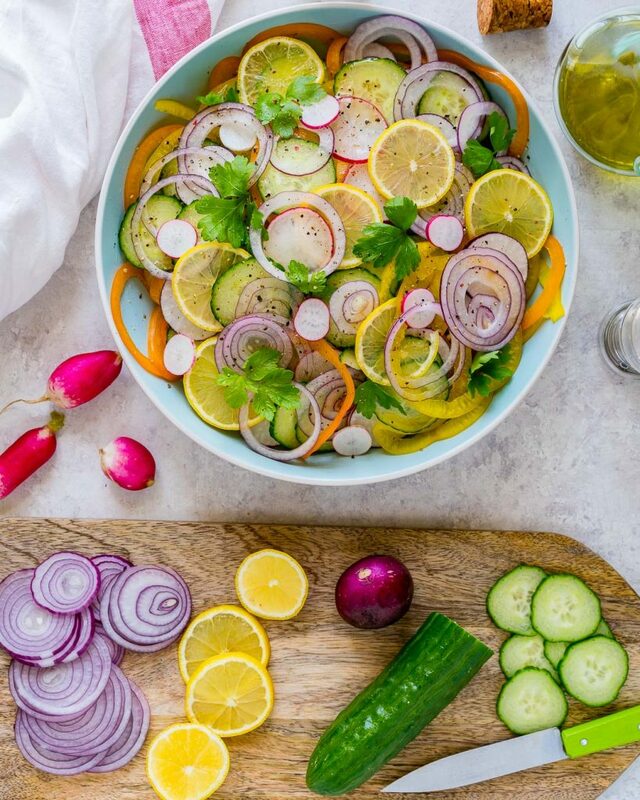 In a separate bowl, whisk together the olive oil, lemon juice, apple cider vinegar, and minced garlic. 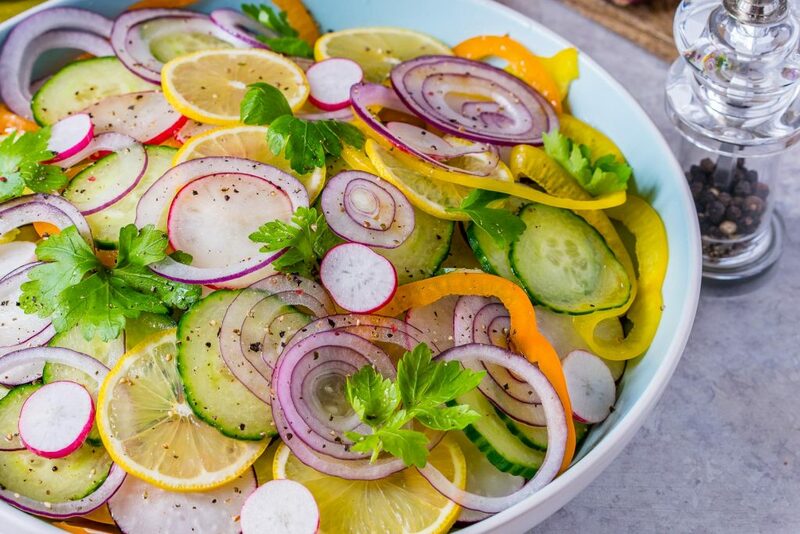 Pour the vinaigrette over the salad and toss gently to combine. 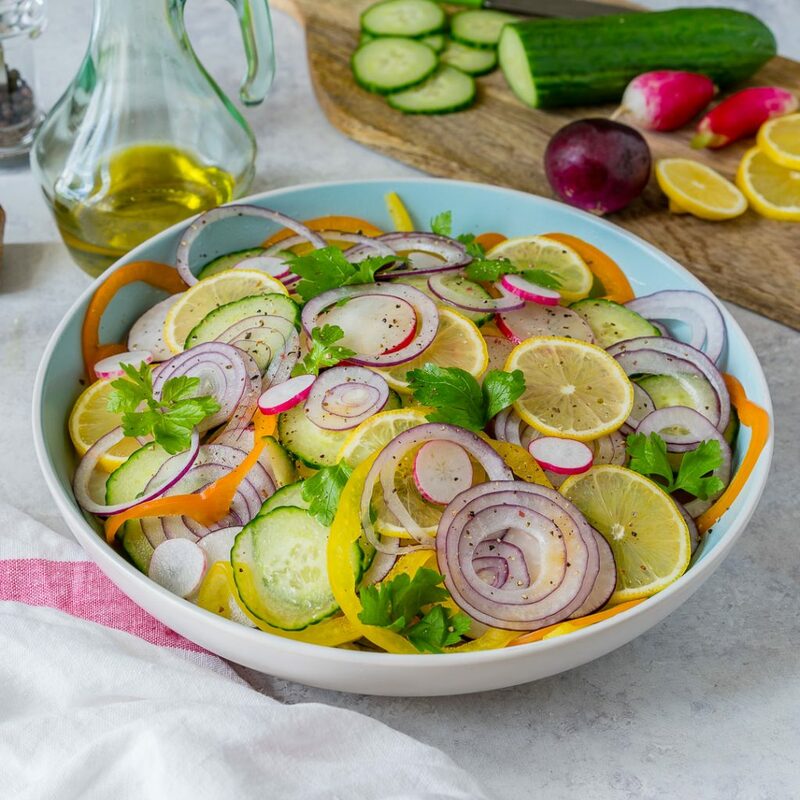 In a large glass salad bowl, gently combine the cucumbers, radishes, onions, bell pepper and parsley. 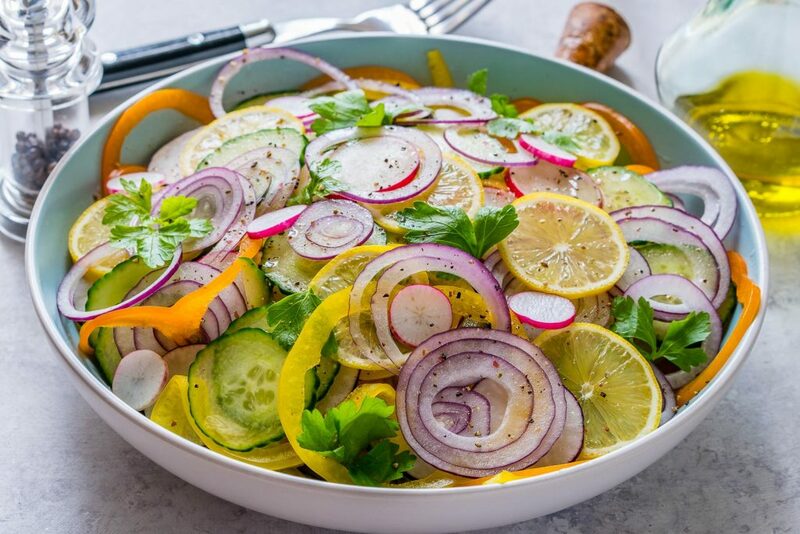 In a separate bowl, whisk together the olive oil, lemon juice, apple cider vinegar, and minced garlic. Season with sea salt and pepper, to taste.